Technology Commons staff can assist in finding a 3D model or suggest useful tools any time the Technology Commons is open. Check out our hours, see more about available tools on our resources page, or contact us to setup a training session. Patrons can visit the Technology Commons desk OR submit their print job via our online self-service form. 3D printing is a first come, first serve service. Technology Commons’ staff can provide rough estimates on turnaround and wait times. Technology Commons staff contact patrons when prints are ready for pickup. Prints are to be paid for at the desk via CatCash at the time of pick up. Prints are weighed and priced at $.12 per gram for plastic and $.25 per gram for resin. We understand that 3D prints fail due to hardware malfunctions or design flaws. We reserve the right to waive charges on a case by case basis. We reserve the right to not print items that we deem inappropriate such as, guns, etc. We only support regularly support PLA filament and resin. Learn more about filament here. 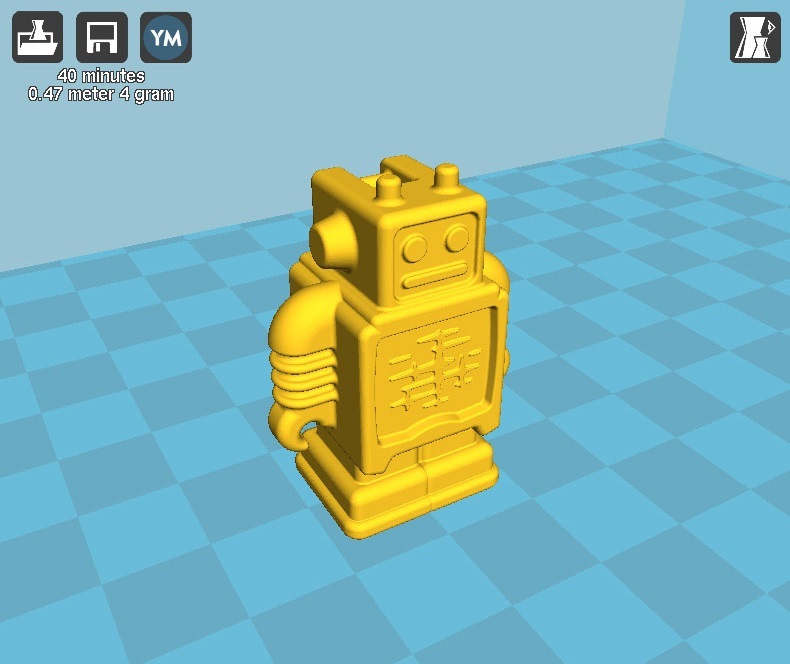 MakerBot’s Thingiverse is a thriving design community for discovering, making, and sharing 3D printable things. In the spirit of maintaining an open platform, all designs are encouraged to be licensed under a Creative Commons license, meaning that anyone can use or alter any design. SketchUp is like a pencil with superpowers. Start by drawing lines and shapes. Push and pull surfaces to turn them into 3D forms. Stretch, copy, rotate and paint to make anything you like. More advanced? Start modeling from CAD and terrain data, photographs or even hand sketches. Cura software makes 3D printing so easy. For newbies it’ll do everything for you, and for experts there’s a world of advanced settings to tinker with.